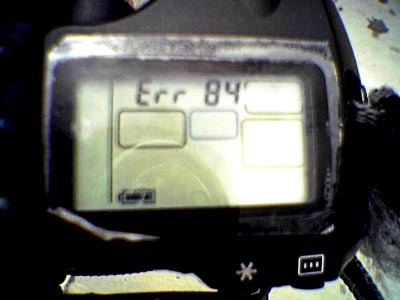 It’s always not good when your digital camera stops working and shows an error on the LCD screen. I was able to clear the error but it kept occuring when I used my teleconverter on a lens. So I had to stop using the teleconverter. Looks like I’m back to using the junky WHT lens since I need a long lens to shoot golf this afternoon.